Could Kurtis Patterson be looking at a baggy green on Thursday? KURTIS Patterson's rapid rise may seem like overnight success to some but one of the coaches who knows him best said the elevation should have happened "two years ago". Reportedly on Saturday after Patterson hit his second century against Sri Lanka in a tour match which was little more than a glorified net session with the visitors playing every player in their squad, selectors weren't going to rush him into the side. 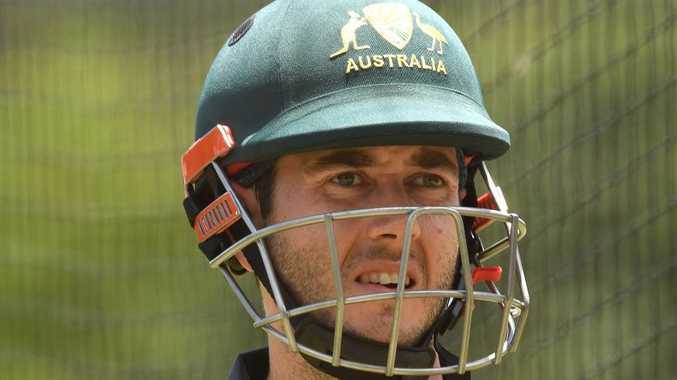 But the selectors had a change of heart, throwing Patterson into the Australian squad three days out from the Test with a strong likelihood of earning his first baggy green. 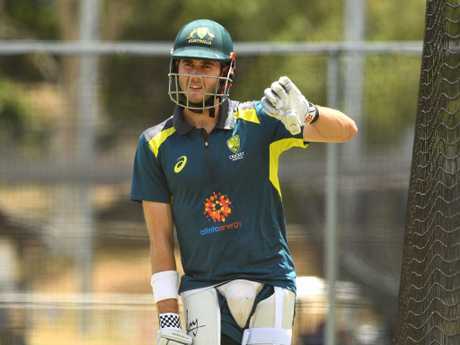 Patterson is far from an overnight success, averaging 41 at Shield level in 58 games with six centuries and 26 fifties after bursting onto the scene with a debut century as an 18-year-old - the youngest batsman to score a century in Sheffield Shield history. A star who hadn't yet gone to the next level, Patterson looks to have turned a corner. In 11 innings in the Sheffield Shield this season, Patterson has scored 428 runs at 47.55 with a century and three fifties. It makes him the competition's 11th highest run scorer this season and he sits third in the NSW side behind Nick Larkin (494 runs at 49.40) and Daniel Hughes (462 runs at 46.20). 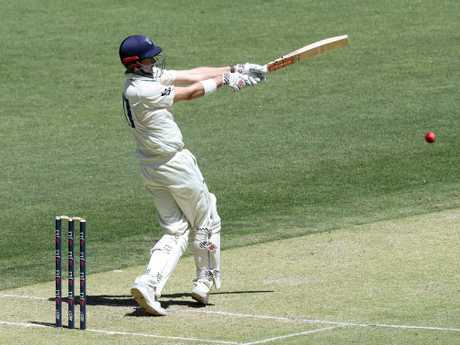 In the final round of Sheffield Shield action before the Big Bash break, Patterson scored 107 in Perth in the second innings. Kurtis Patterson was knocking on the door. In grade cricket last weekend, playing for St George against Western Suburbs, he hammered 167 not out off 147 balls. He then continued the form against Sri Lanka with scores of 157 not out and 102 not out for knock down the door of selectors. Sydney Sixers coach Greg Shipperd said he would have had the 25-year-old in years ago. 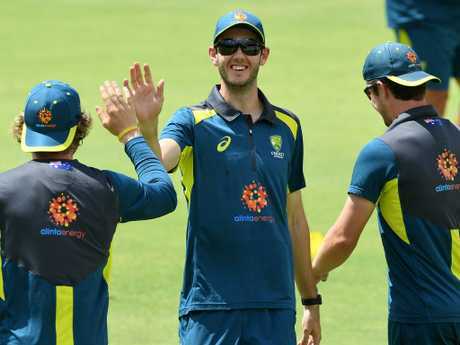 "I would have picked Patterson about two years ago in the team having coached Victoria and then come up and done some work with New South Wales," he said. "I thought he was the most ready player not playing in terms of what the team needed: someone who could bat time, had some technique and was good against pace and spin. "I hope they play him and if the mantra has been runs, runs, runs and you get picked then I think he's in the best place. They've back tracked a little bit if you like by adding him to the squad, and I hope they now have the courage to pick him and (Will) Pucovski in the team. "I just think runs speak for themselves and that's the direction I would be going." Patterson was in the Australian camp and said he was ready to perform if he was able to get his first Test cap. "I feel at the top of my game to be honest," Patterson said. "I feel like I'm hitting the ball as well as I ever have. You want to be picked when you're playing and I feel like I am at the moment. "There's some hard work to be done this week but if I get the opportunity on Thursday I will be looking forward to it. "I've got to give a lot of credit to Beau Casson. 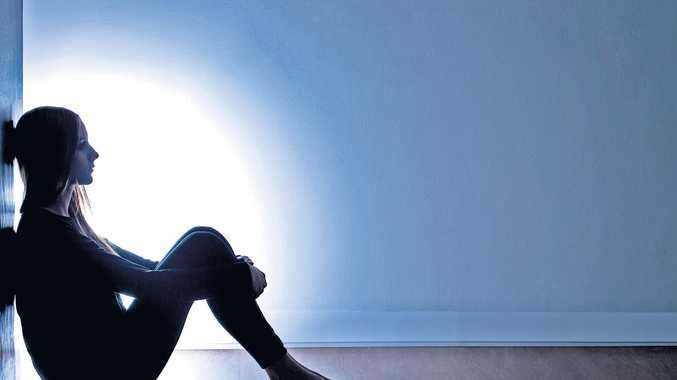 We have forged a really strong relationship and he has been absolutely fantastic for me. The New South Welshman hit a hot patch of form at the right moment. The big talk from Patterson coming out of the Hobart match against Sri Lanka was the discussion of conversions from fifties to hundreds. He said he thinks he's turned a corner and got rid of "the monkey off the back". NSW bowler Trent Copeland said the selectors, who made big changes for the Sri Lankan series after heavy criticism, should be praised. After bringing in Matthew Renshaw, Joe Burns and Will Pucovski and now Patterson, Copeland said it shows the selectors are willing to give players in a form a shot. "The selectors cop a lot of undue criticism at times," Copeland said. Kurtis Patterson also gets a start. "There are times when the fans and the cricket public don't understand things and it's not always their job to be transparent and tell everyone exactly what they're thinking either. "This is a great move from the selectors in adding to the squad. "It's not necessarily an issue if there's another player vying for selection - when we're at home - it's one of the great advantages you have. "When the one-day series is on, this guy's churning out runs. He got 160 not out in a grade game I played with him in Sydney two weeks ago before that CA XI game. "I think it's just an acknowledgment this guy's in serious form - is he in our best XI? Let's wait and see till match day." Watch every BBL match live or on demand on Kayo Sports, with prices starting from $25 per month. It's currently available on Apple and Telstra TV, for Apple and Google Android smartphones, on web browsers and via Google Chromecast Ultra devices.